The four children who went missing from Brandenton were located safely in Eufaula, Alabama early Friday morning. According to police, just after midnight, two guests at the Hampton Inn in Eufaula that had seen the Amber Alert thought they recognized the children playing in the lobby area and notified the Eufaula Police Department. Officers located the vehicle identified in the Alert and confirmed that the Alert and warrant were still active. Officers made contact with the mother of the children, Jamia Gadeaun, 40, and she was taken into custody without incident. The children, age 6, 8, 10, and 12 were checked by Eufaula Fire Department personnel before being turned over to the Barbour County Department of Human Resources. All of the children appeared to be in good health. 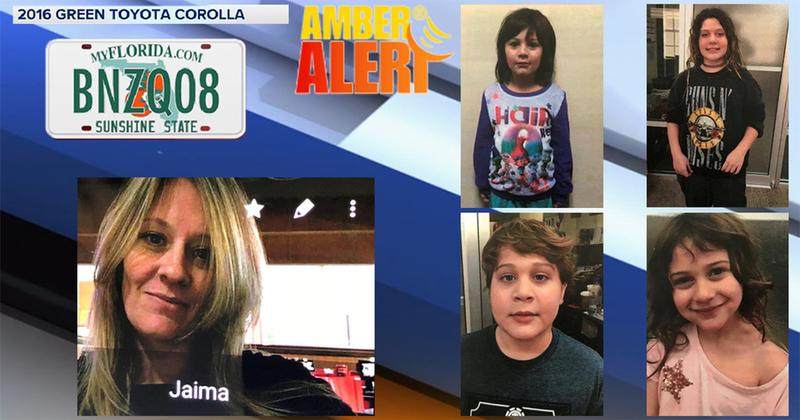 A Florida Amber Alert had been issued for the four children from Manatee County on Wednesday night. Joseph Gadeaun, 10, Jacqueline Gadeaun, 8, Jocelyn Gadeaun, 6, and Jowella Gadeaun, 12, had last been seen in the area of the 5100 block of 15th Street Court in Bradenton. Officials believed that the children were taken by their mother, who does not have legal custody of the children. "She has a pattern of acting erratically which could lead to danger for the children", said MCSO spokesperson Dave Bristow when the Amber Alert was first issued. Gadeaun was arrested and taken to the Eufaula City Jail where she awaits an extradition hearing. "We applaud the attentiveness of the guests that recognized the children and their quick action in notifying our agency," said Chief Steve Watkins with the Eufaula Police Department. "The patrol officer’s response was centered on the children’s safety, and we are pleased that the incident was resolved professionally and peacefully."